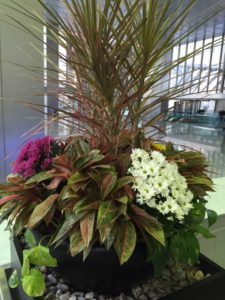 We provide many offices and buildings with spectacular flowering designs in their interior planters and gardens. Our eye-catching displays and hanging baskets are all over the city. Under our expert care and maintenance, the displays brighten and beautify our clients businesses all season long.